Finally! A Dependable Moving Company You Can Trust! The most important aspect at 2 Guys and a Truck, is customer service and satisfaction. No matter what kind of move you have, from a small studio apartment, to large offices, we will take care of the planning and execution. We pride ourselves in our quality work and business ethics. Our employees have been with us for years and are experienced in the logistics of relocation. Tell us your needs and we will go above and beyond in meeting them! The story of 2 Guys and a Truck is a tale of true American Entrepreneurialism. 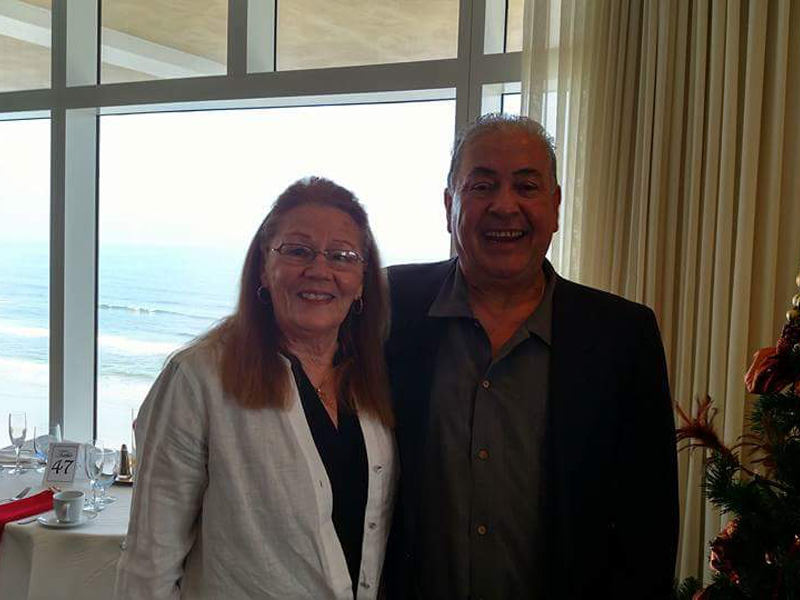 Raul Chavez and his wife Jeannie are the owners and operators of central Florida's Premier Moving Company. They started this company in 1983 and have built it into what it is now. Raul is the man answering the phone and responding to all emails. Being able to deal directly with clients is the kind of attention that Raul prides himself on. He hand picks all of the employee's to ensure they meet the high level of standards he holds. When not managing their moving business, Raul and Jeannie can be found out and about in town. Enjoying family and friends. As local business owners in New Smyrna Beach, they attend many charity events and give back to the community that is so special to them both. 2 Guys and a Truck likes being a part of the community. We donate our time to local and national charities and community organizations. We also support our active military and veterans by offering discounts. Helping to support those that have been here before us is also important. We offer discounts and provide the extra attention and care needed when moving senior citizens. 2 Guys and a Truck serves the entire state of Florida including moves from or to anywhere in the eastern half of the United States. Our moving practices have been appreciated by customers for many years. 2 Guys and a Truck handles the entire moving process from start to finish. There is no contracting of outside shippers or trucking companies. This way, your belongings are only in the care of our trained professionals. "2 Guys and a Truck were a lifesaver for us. They were the perfect choice in moving our home. Their level of professionalism is top notch. I would recommend them to anyone who wants a stress free move." Over the many years that 2 Guys and a Truck have been moving people, there are a few do's and dont's we have picked up. These hints will make your moving day run as smooth as possible. Have you ever heard the phrase "You never know how much stuff you have until you have to move it"? Well, it's true. Over time we accumulate things. Its part of who we are. Some of the "things" or "stuff" we accumulate aren't always needed. If you are planning on moving, go through your residence and just ask yourself do I need this. Having less "stuff" will not only make you feel less cluttered, but it will help in a move. Packing, correctly that is, is a very important aspect of the relocation process. The number one thing to reduce stress when packing, is to be organized. Start in one room and pack your things into boxes, then label those boxes. This will make it that much easier when we get to your new location. We will place your belongings right where they are meant to be and you wont have to worry about having to move them again. When it comes to maintaining the look and feel of the floors and carpets in your home, we are pros. 2 Guys and a Truck make sure to take protective measures so that our feet and equipment don't leave any marks. Just another trick we've picked up along the way. As we all know, electronic devices are fragile (not to mention expensive). Packing them correctly is important. If you have the original box, use that. This will ensure that the packaging is snug and protecting your possessions. If you threw the original packaging out, like most of us do, Amazon and Home Depot offer a wide selection of boxes. We cherish our children, and pets. But lets be real, they can add major stress. Moving is already an intense situation to be in. Adding any extra distractions can make things harder. Try and arrange for family members or a sitter to keep an eye on the kids. Pets can also be watched by family or friends. Crating might not be ideal for our animals, but is also an option to make things easier. The more prepared you are for a situation the better you'll be. This can apply to anything in life, but in a moving situation it is key. Having your possessions and home ready to be moved can make the process much easier and less stressful. Also, you can visit the destination property and mentally plan where your going to want things. Basically knowing the process and taking an active role in the move is important. Our goal is to ensure your move goes as smoothly and stress free as possible. We value your input, any additional information provided prior to the move allows for better preparation. Feel free to contact us at any time–we will respond promptly to your questions/ concerns.